To get your Cisco Router or Switch to enroll, and obtain a certificate from a Windows Server running NDES, this is the procedure you need to follow. When dealing with certificates, it’s important that your device is maintaining the correct time. You can set this manually, but I’d recommend setting up NTP. 1. Choose either of the options below, (as applicable). Note: I’m in the UK so my time is GMT, and I need to allow for daylight saving time, (so your settings ma vary depending on your locale). 1. Make sure the device can contact the NDES server, (simply pinging it should suffice). Then set a hostname and domain name. These are required to generate an RSA Key-pair on the device before we start. 2. 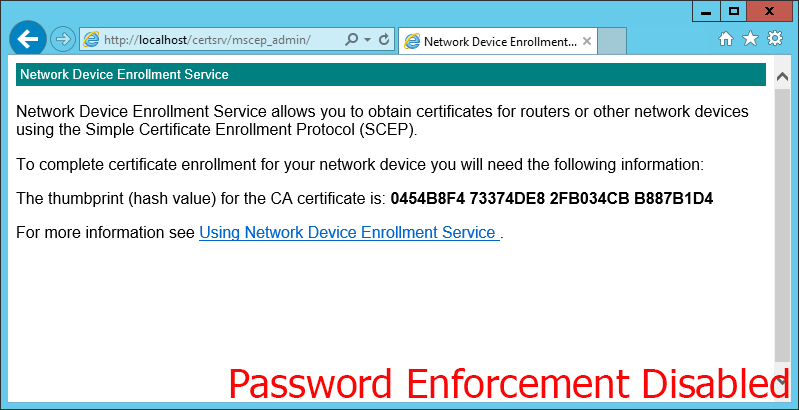 Create a set of CA settings (a trustpoint), then authenticate to it. 3. 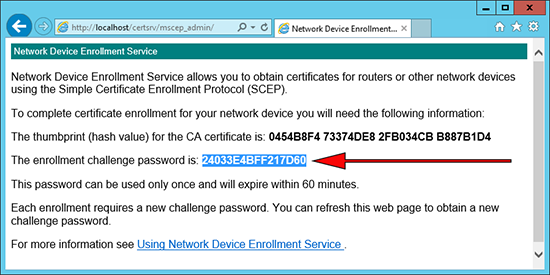 If your NDES Server requires a password you can embed that. If you require a password you can obtain it from the NDES Server using the following URL. This is the password you need to enter. If it looks like (below), then password enforcement has been disabled, and you can skip the next step. 4. Enroll for a certificate. % The 'show crypto ca certificate PNL-TRUSTPOINT verbose' commandwill show the fingerprint. 5. 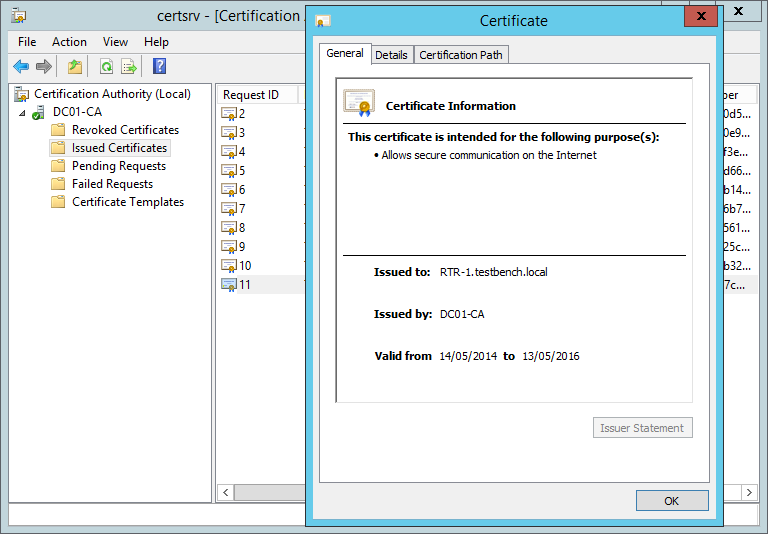 If you have a look on the Certificate Server you will also see that the certificate has been issued. Oh Crap! It went wrong? To be honest, it couldn't be more descriptive! You can't generate an RSA key-pair without a hostname, and a domain name. Certificates are time specific, make sure the device has its clock set correctly, (preferably via NTP). And the time on the Certificate Services Server is set correctly. Remember: We set the device to check the Certificate Servers CRL, make sure that's setup properly, and the device can resolve its name.